1 ball JarboGarn Soft Cotton (100% cotton). 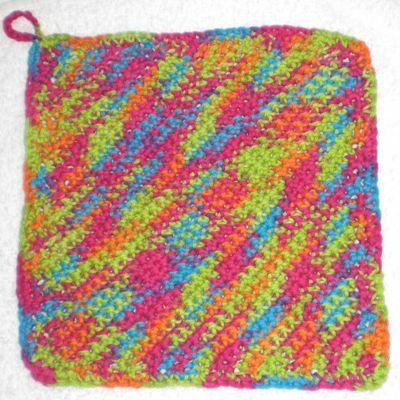 1.75 oz / 50 g. 87.5 yds / 80 m.
A square washcloth, crocheted corner-to-corner. This project uses one small ball of cotton yarn with almost no leftovers.